Early this morning I visited Sakura Park or cherry blossoms park in Miharu Town. I found a superb view as shown above with colorful cherry blossoms surrounding Lake Sakura. 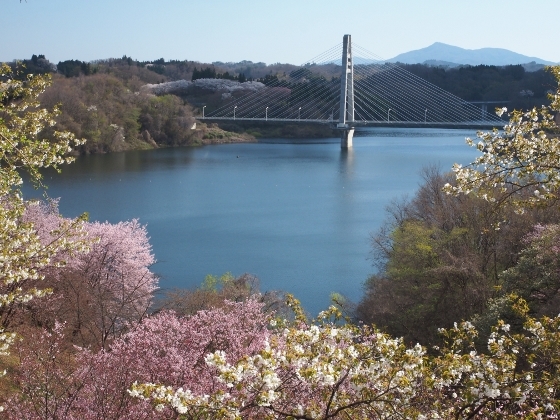 Lake Sakura is a dam lake built on the Otakine River and it showed quiet blue water under a landmark bridge called Haruta-Ohashi. 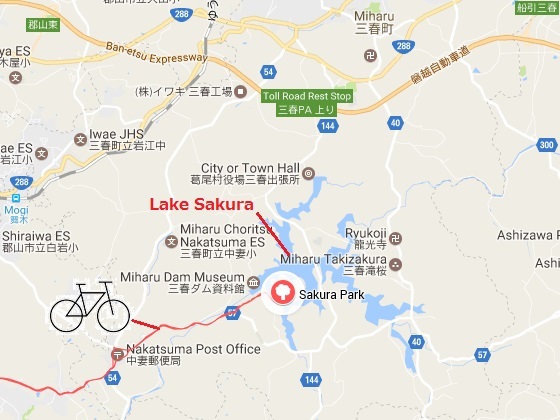 The location is four kilometers away from the famous Miharu Takizakura.